Monica Hahm is the Director of Development for the Munk School of Global Affairs and Public Policy and its constituent units. She provides leadership, strategic direction, and priority setting in the development and implementation of the Munk School’s campaigns. A senior fundraising executive, Monica brings extensive experience in campaign development, strategic planning and prospect development. Prior to joining the Munk School of Global Affairs, she served the Faculty of Arts & Science with distinction for 15 years, holding a series of increasingly responsible positions within the Office of Advancement. Monica is an exceptionally talented and committed advancement professional who has kept the Advancement program on a continued upward trajectory, most recently, as the Interim Assistant Dean & Executive Director of Advancement, for the Faculty of Arts & Science, assuming overall responsibility for the Faculty’s successful component of the Boundless Campaign. She has led a high-performance team with responsibility for fundraising, alumni affairs, donor relations, events and communications and is a member of the University’s senior advancement leadership team. 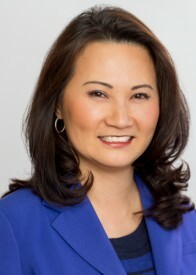 Monica has also held a number of positions in Advancement at U of T including the Division of University Advancement and the Faculty of Medicine. Monica is a Certified Fundraising Executive (CFRE) and an alumna of the University of Toronto with an Honours Bachelor of Science degree in Biology and Exceptionality in Human Learning, as well as a Certificate in Teaching English as a Second Language.